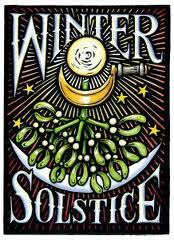 Please join us for the Earth Center traditions group’s annual Winter Solstice Ritual. We will celebrate the Shortest Day of the year on Sat, Dec 20 at 6pm. We turn the wheel of the year and bring back the sun, a chance to leave things in the old year and gather others for the new. The ritual will be followed by a pot luck feast and carols in the Parish Hall. If you are interested in helping in any way ( reading, singing, drumming, setting up, clean up), see Tom Yelton or Jan Hardenbergh. The 6pm ceremony is suitable for 13 yr olds and older. Childcare can be arranged if you request it.